For all the anti-Semitism-based controversy roiling the Women’s March, we in Los Angeles who took part last year should have no crisis of conscience about doing so again on Jan. 19. Women’s March Los Angeles is separate from the national group. Many participating Jews incorporate observing Shabbat around the march (booking rooms downtown, davening early). The Unity Statement for the national march includes, “We must create a society in which all women — including Black women, Indigenous women, poor women, immigrant women, disabled women, Jewish women, Muslim women, Latinx women, Asian and Pacific Islander women, lesbian, bi, queer and trans women — are free …” Yet some are saying that this is not enough. What happened and how should we respond? No one ought to expect that members of a broad coalition agree about every issue. What lines should not be crossed? One key point: My governing assumption here is that Jews necessarily have an interest in intersectional politics, because we live at intersections: We are Jews and women, Jews and queer, Jews and people of color and, yes, Jews and working class. Just as each woman is a woman. Intersectionality represents the principle that none of us is free unless each of us is free. We who annually celebrate our delivery from slavery and the command to love the stranger are bound by that. We must never forget that those movements intersect in the bodies of Jews of color for whom we are obliged to stand. 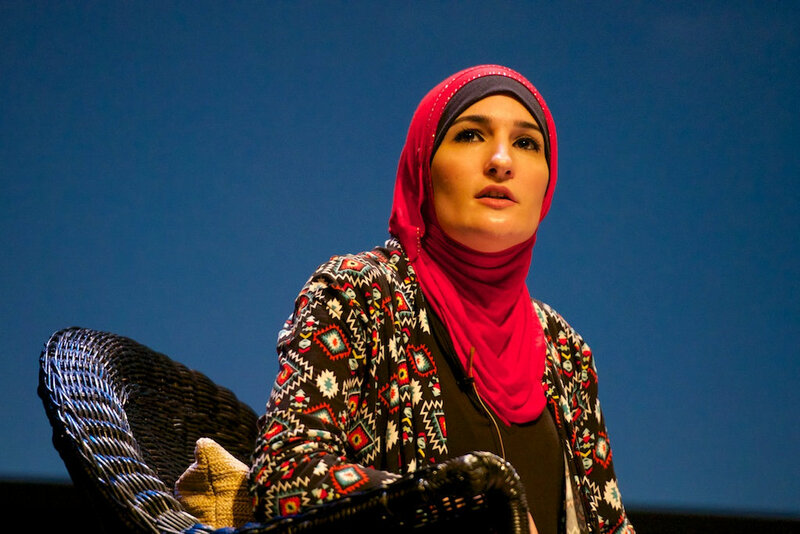 Two key issues around the march have been crystalized in conflicts with personalities, that of Sarsour and National Co-Chair Tamika Mallory. Sarsour is adamantly opposed to Israeli government policies and supports the boycott, divestment and sanctions (BDS) movement against Israel. She also has raised thousands of dollars to aid American-Jewish communities whose cemeteries have been desecrated, and built strong personal friendships with Jewish women. The conversations with Mallory that have emerged raise crucial issues about racism and anti-Semitism; about where movements on behalf of people of color, black people specifically, and Jews ought to intersect. Above all, we must never forget that those movements intersect in the bodies of Jews of color for whom we are obliged to stand. The problem is that Mallory, a Christian, has a longstanding relationship with the Nation of Islam (NOI), whose leader Louis Farrakhan stands firm in his ideologically driven hatred of Jews, lesbians, gays and gender non-conforming people. This puts Farrakhan at odds with most of the march’s Principles of Unity. Yet Mallory won’t disavow her working relationship with Farrakhan or the NOI, which practices an adulterated Islam, unacceptable to mainstream Muslim thinkers. The generation that created Black Lives Matter, a movement led by queer, black women articulating an intersectional politics that speaks to race, class, sexuality and gender, will render Farrakhan irrelevant soon enough — if that generation takes up the work of connecting with prisoners, addicts and other marginalized people. This applies to religious progressives of all traditions — including Jews. Interestingly, Farrakhan’s fantasy of powerful Jews pulling invisible strings echoes a trope that drives today’s white nationalist movement. As Erik K. Ward writes in his insightful article “Skin in the Game,” “Antisemitism forms the theoretical core of White nationalism.” When white nationalists chant “Jews will not replace us,” they mean that, just as Farrakhan believes that LGBTQ people are being secretly manipulated by a Jewish cabal, so, too, are people of color and immigrants who, the racists believe, could never organize to defend their interests on their own and are being driven by Jews into “replacing” white people within job markets and neighborhoods from which they’ve been previously excluded. So Jews have a stake in intersectional politics. Who benefits if the Women’s March, a key site of the anti-Trumpism, pro-democracy resistance, is fractured? What would be the point of turning away from urgent conversations among people who wish to build a world in which we are all free to practice our traditions, earn a living and breath clean air? Rabbi Robin Podolsky teaches at Cal State Long Beach, writes for Shondaland, and blogs at jewishjournal.com/erevrav.